Is the Wii U a Portable System Like the Nintendo 3DS? The Wii U GamePad: Portable Game System? Nintendo's Wii U is a home video game console and the successor to the Wii. It competes with the Microsoft Xbox One and Sony PlayStation 4. 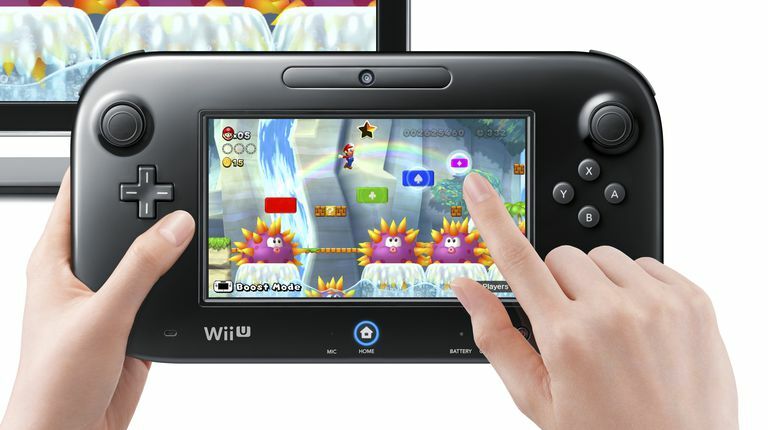 The Wii U GamePad is the standard controller for the Wii U game console. It looks like a portable game system, but it doesn't work like a Nintendo 3DS or Nintendo DS. The Wii U is not a portable gaming system, and unlike the Nintendo DS and the Nintendo 3DS, the controller is not meant to be played outside the house or anywhere away from the Wii U console. Like the Wii, the Wii U console is meant to be played indoors. Its most prominent feature is the 6-inch touchscreen embedded in its controller, which makes it easy to see why it might be mistaken for a portable game system. The GamePad controller has controls that look familiar to anyone who has ever used a DS or 3DS. However, it is not a freestanding device. You can take a Nintendo DS or 3DS anywhere, and it works. If you separate the Wii U GamePad controller from the Wii U console, it does not work. When you buy a Wii U, the console, a GamePad and necessary connectors come in the box. If more than one person is going to play, you'll need to buy an additional controller, but it won't be a GamePad because the Wii U doesn't support more than one. If you own or plan to buy a lot of games, you may need an external drive because the Wii U console doesn't have a lot of storage room. The Wii U supports external drives that are plugged into one of four USB ports on the console. Nintendo maintains a list of compatible external drives. The Wii U console is backward compatible with earlier Wii games, and there are plenty of great games available. Other accessories include you might want to add include a microphone, headset, and racing wheel.